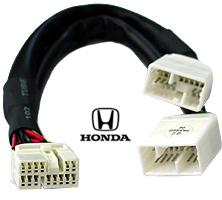 This 2 Port-BUS cable will allow you to retain the factory navigation and connect an aftermarket interface. Simply disconnect the male navigation harness from the radio, and in it's place connect the male harness on then connect the navigation and the aftermarket device male plugs in to the female connectors. It can also be used to retain your existing CD changer.